Vacuuming is a huge part of cleaning a house, or a car for that matter! That is why Nelson Appliance provides a large selection of vacuum parts. Generally families with children or young adults are on the go, and tend to have cars that look as though the inside was hit by a hurricane. Whether it’s toys or cheerios, the inside of our cars can take a hit in our daily activities. Which is why it is so important that we maintain their up keep by regularly vacuuming the inside. As a result of frequent car vacuuming, we know that small, random items can clog your vacuum, which is why also keeping up with your vacuum’s maintenance and replacing some common vacuum parts, is important. The carpets in the home, as well as the ones in our car hold dust and pollen. By vacuuming we help reduce the chances of getting sick, and help to improve the air quality in these areas. Many name brand vacuum companies claim that their vacuums remove pollutants, while remaining indestructible—but the reality is parts break and pollutants stay in the carpet, causing itchy eyes, runny noses and frustration. Nelson Appliance eliminates the frustration of broken, substandard parts by providing a wide selection of the best in the industry. Depending on the type of vacuum you have, along with the wear your family subjects your vacuum to, finding the correct vacuum parts can be difficult! Most brands recommend you purchase replacement parts only through them, but who wants to deal with overpriced items, and the constant pressure from sales clerks trying to up sale you items you don’t need? Vacuums range from size and color to brand. We know that every vacuum has its faults, and replacing parts or even a whole vacuum can be a hassle. Nelson Appliance prides itself on eliminating the hassle by saving you money and frustration, through providing a wide variety of high quality vacuum parts. Eureka PT Vacuum Belts (2) #52201. These vacuum belts for use in Eureka Power Team Canister vacuums. Eureka AR Vacuum Belts (2) #58065. These vacuum belts for use in Eureka Power Team and other Canister vacuums. Eureka RD Vacuum Belts (2) #52100. 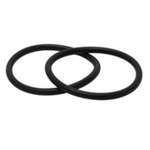 These round vacuum belts for use in Eureka and Sanitaire upright vacuums. Eureka J Vacuum Belts (2) #61520. 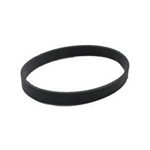 These vacuum belts for use in Eureka Power Plus upright vacuums. Hoover T1 Vacuum Belts (2) #562932001. These vacuum belts for use in Hoover Elite Rewind Upright vacuums.